Recycling is the third and key component of the Three Rs: Reduce, Reuse and Recycle. Reducing is really the best way to reduce your overall waste footprint. If you never buy, use or have, then you will not have the waste to manage when done. Americans today average about 4.3 pounds of waste per day and we can all do something to reduce this amount. Buying durable products that will last longer, planning your purchases and cutting back, all support reduction. Reusing can be referenced several ways, but it is all about finding uses for items versus discarding them into the landfill. When possible only buy items that can be reused (for example tote bags to replace plastic bags) and find ways to repurpose items that no longer serve their original purpose. Maintain and repair what you own, donate, give away and find alternative use for items before you throw them away. Collecting and processing – This can be accomplished in several ways. Some communities have curbside programs to pick up your recyclables on the street. Others have community drop off bins that you can stop by and deliver your recycling. Once collected, the recyclable material will be sorted, cleaned, baled and sent to a plant to be converted to a marketable raw material. Involves the process of manufacturing the recycled raw material into a new product. Products are made, returned to the market and purchased by consumers. This completes the recycling loop. 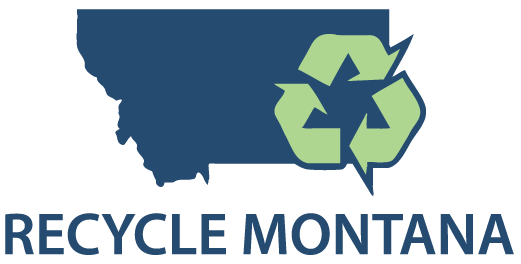 Support recycling whenever possible and purchase products that are made from recycled content. Reduces the need for Landfills and saves existing airspace. Keeping recycled materials from the landfill reduces greenhouse gas emissions and provides raw materials for recycled products. Saves Energy. In most cases, it requires less energy in the manufacturing process to produce goods using recycled materials versus virgin raw materials. For example, recycling aluminum saves 95% of the energy required to produce aluminum cans from virgin mined bauxite. Conserves Resources. The overall demand for virgin raw materials used to make recycled products (glass, paper, metal and plastic) is reduced through recycling collection. This creates a lower demand for minerals, trees and petroleum distillates, thus avoiding the environmental damage caused by mining for metals, drilling for petroleum and harvesting trees. Creates Jobs. For every one job at the landfill, there are 10 jobs in recycling processing and 25 more jobs in recycling-based manufacturing. Makes you feel good. When you collect recycling material and place it in your curbside bin or local drop off bin, you know that you are doing the right thing for the environment. This motivates most people to find more items to recycle, find ways to reduce contamination and tell their friends about what a good thing they are doing for their planet.